Cat after cat makes its way over the fence and into the backyard of a lady who's looking for a little quiet to enjoy some music. There are slinky cats and stinky cats, gray cats and stray cats, but all the cats have one thing in common--they love to sing. "Meow! 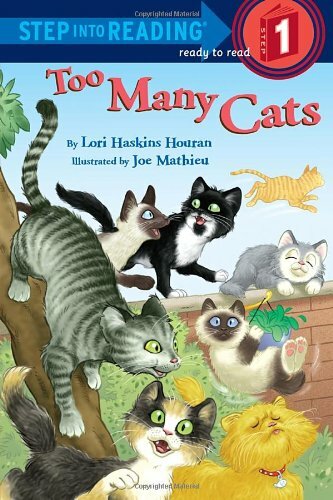 "This companion book to "Too Many Dogs "brings a fun, rhyming text together with bright, humorous artwork in a book that will be irresistible to animal and cat lovers.